Hi everyone! Happy Friday! 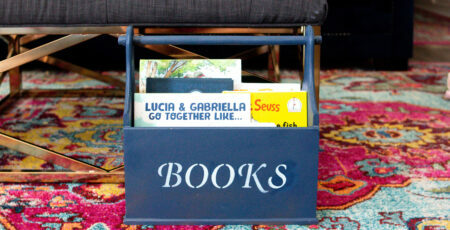 Today I normally share with you my Friday Favorites but I have a fun little DIY to share instead! 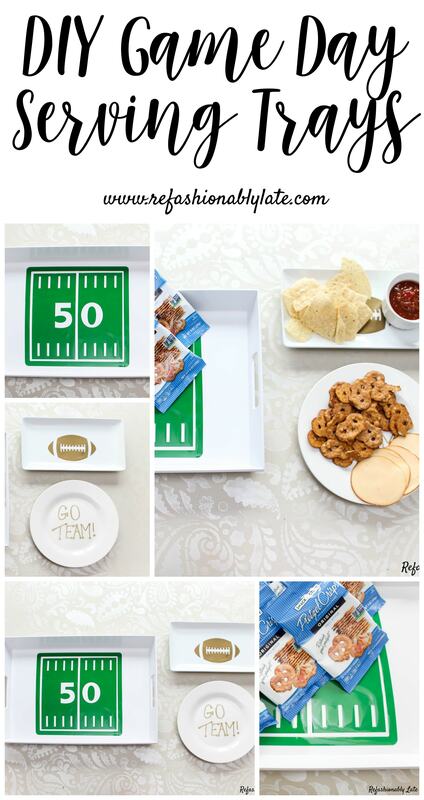 As we know the Big Game is coming up next weekend so I thought it would be fun to make some decorative serving trays! I love to serve a variety of foods and give people options. This year I am going to go a little bit on the smaller side. 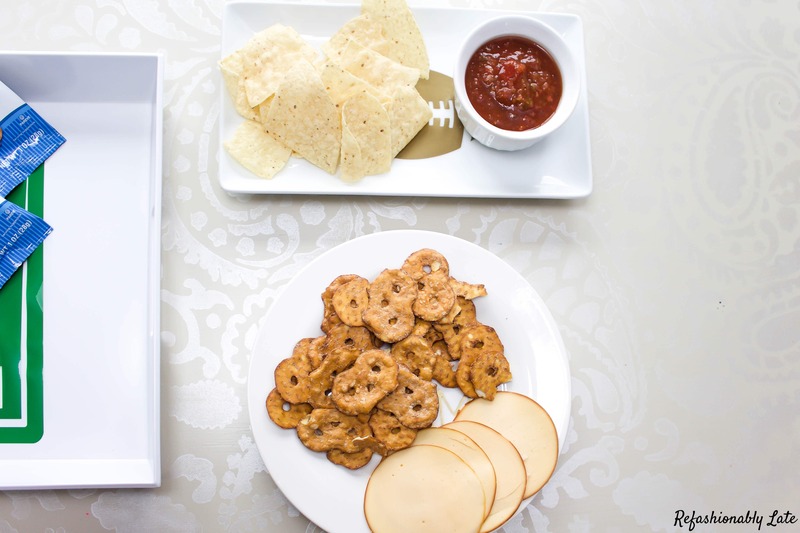 There is no need for tons of food, why not make healthier choices on game day?! 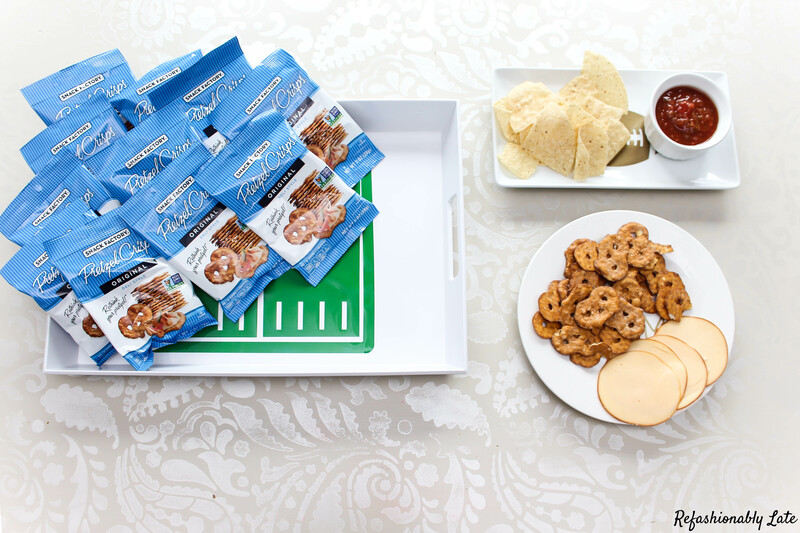 You can find other healthier options here to add to your Game Day spread! 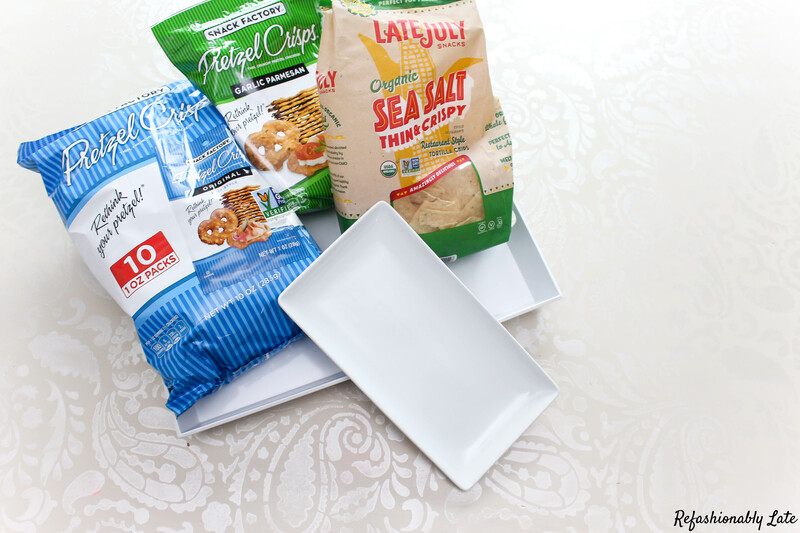 There are a few different ways that you can make your own serving trays. 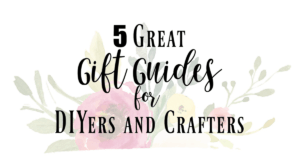 You can use sharpies, paint pens and one of my new favorites…window cling! I started by using a paint pen and writing a quick little “Go Team!” message on a plate. You can write your favorite football team’s name if you want or write different football phrases. 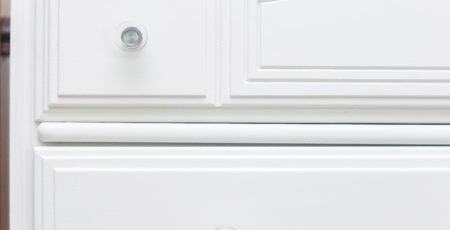 You can find paint pens in tons of different colors so you can decorate with your team colors as well! 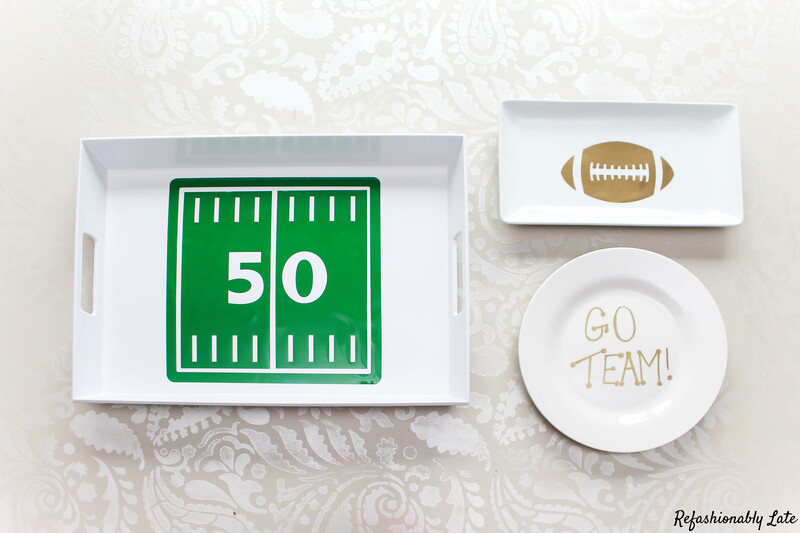 My new favorite way to decorate plates and serving trays is with window cling! You can’t use this with hot foods (probably shouldn’t with the paint pen either). 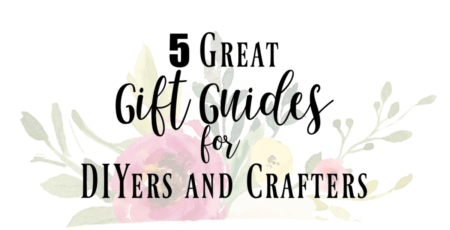 It’s great for dry foods and picky foods! Just make sure to have a variety of foods for your guests to enjoy! Since I was going with the football theme I started by finding images in the design space on my Cricut Explore Air 2. 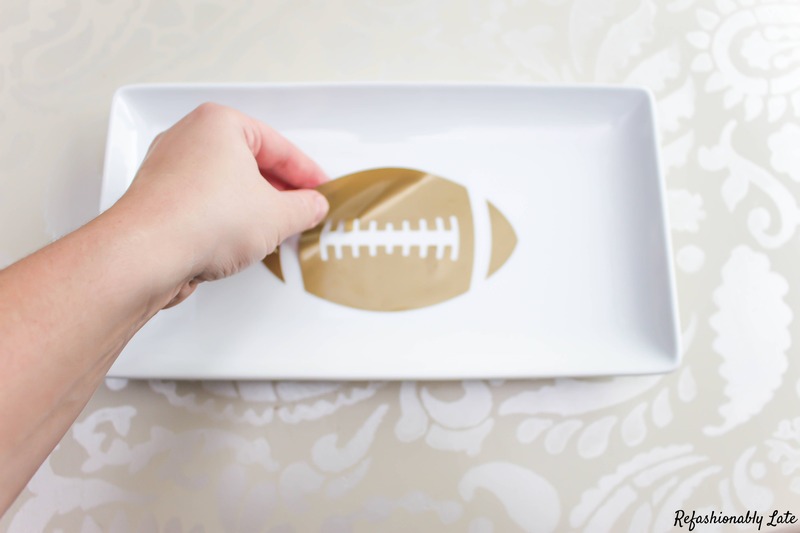 I found a football and a football field in the images folder so I selected them and adjusted them to the size of my serving trays. After the design was ready I used my cutting machine to cut out the designs on gold and green window cling. When applying the window cling make sure you apply it to a glass plate. It won’t stick to a plastic plate or serving tray. You want it to stick so it won’t be grabbed along with the food! The best part about the window cling is that when you are done with your party you can remove the window cling and store until the next party. 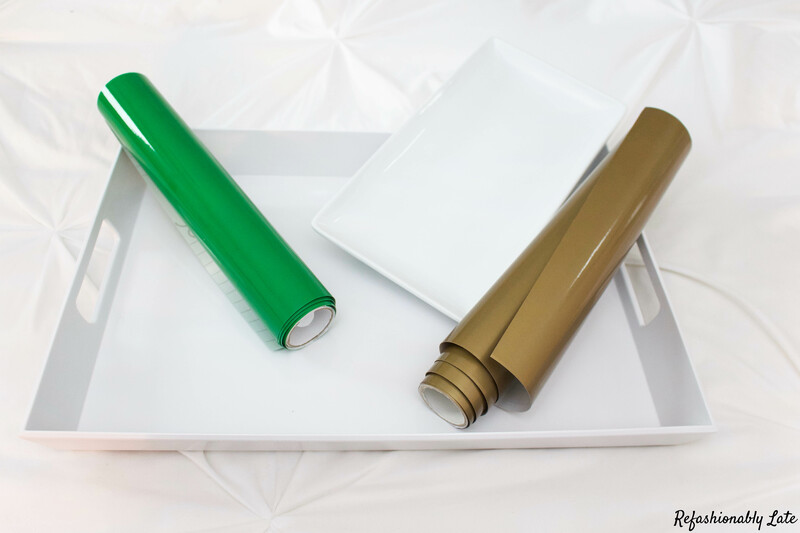 Your tray can go back to original state and used on various occasions. 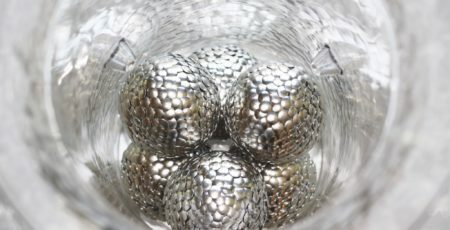 All in all, it’s a quick little DIY to add some pizzaz to your Big Game decor! It only took me about 20 minutes from start to finish in adding the decals to my serving trays. 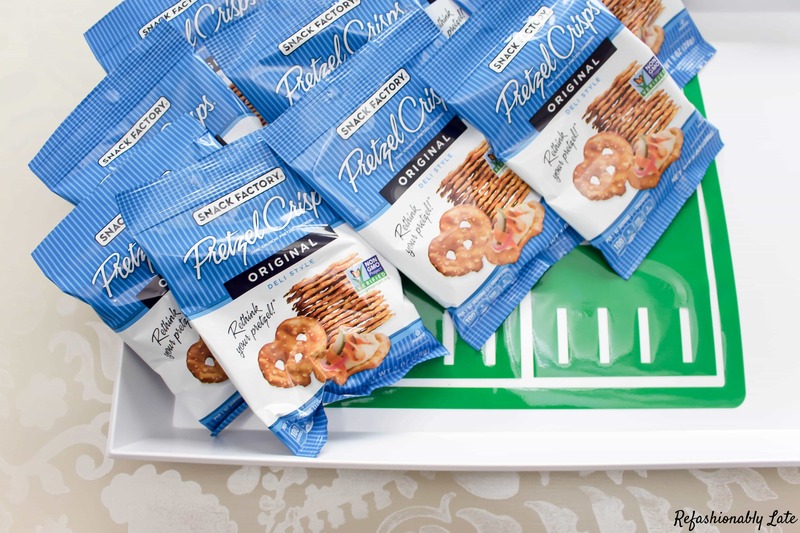 I love how they look and when someone grabs a Late July® Tortilla Chip or Snack Factory® Pretzel Crips® they get a sneak peek at the design! Have a great weekend everyone and enjoy some time with your friends and family! Relax and prepare for the big game next weekend! Who do you think will win? Who are you rooting for? What is on your Big Game menu?